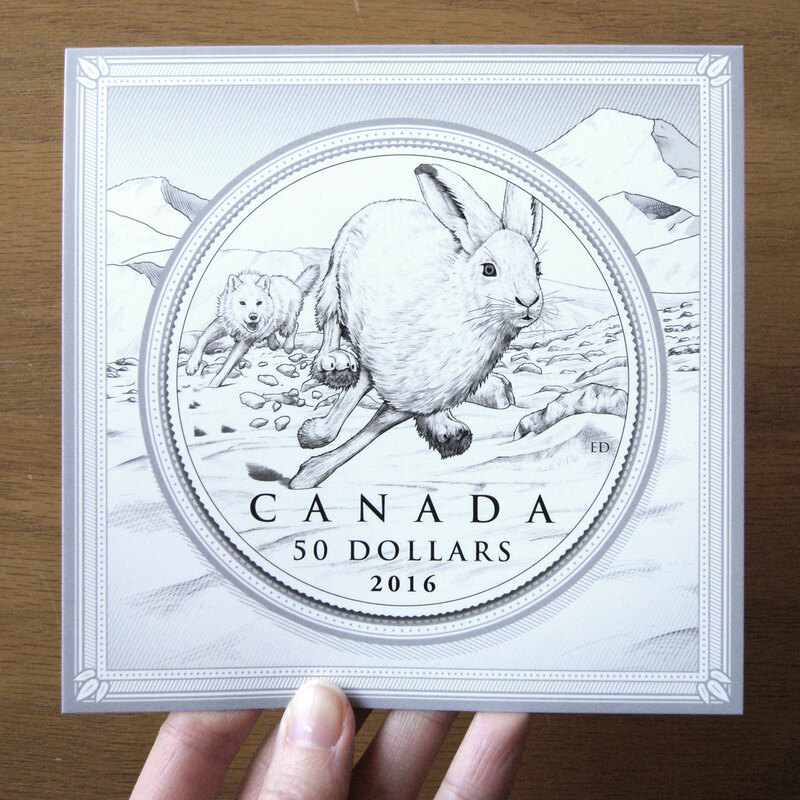 Last year I received an invitation from the Royal Canadian Mint last year to submit a coin design featuring a Canadian hare in action. 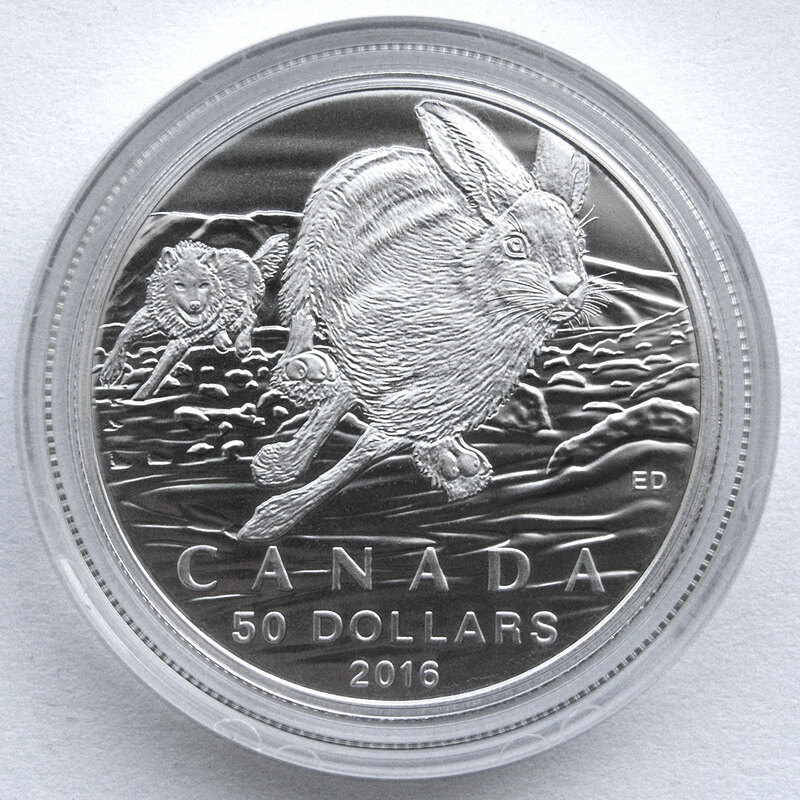 I thought it would be interesting to show an arctic hare (Lepus arcticus) running at full speed, a behavior employed when a predator is in pursuit. I illustrated a ground-level view of an adult hare sprinting across rocky tundra as it attempts to outrun or outmaneuver the pursuing arctic wolf. The significant distance between the wolf and hare adds to the uncertainty about how the chase concludes. Arctic hares are an important food source for arctic wolves, which are the only predators that would typically hunt adult hares. Even so, the outcome of the pursuit is just as likely to be that the wolf gives up, unable to catch the speedy and evasive hare. I think it’s a dignified way to show the hare because running fast is something that it’s well-adapted to do; if it didn’t have a chance against the wolf then arctic hares would have become extinct long ago.